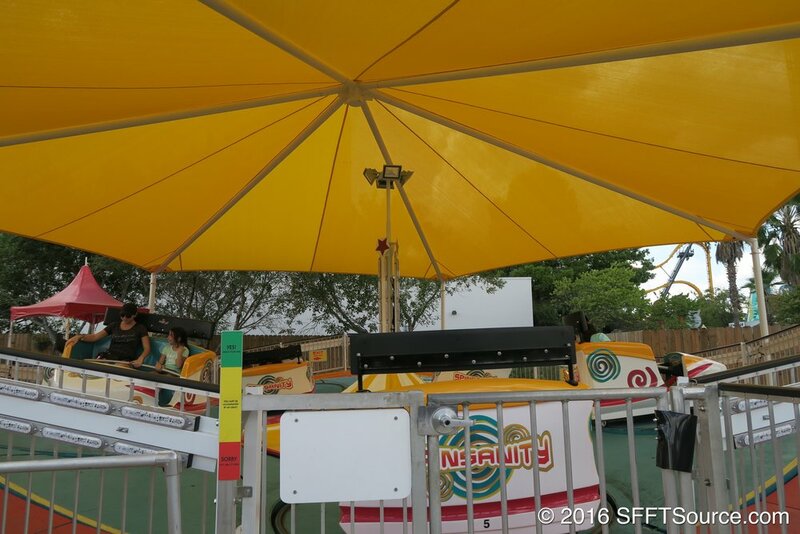 Spinsanity, located in the park's Fiesta Bay Boardwalk section, was introduced to the park in 2016 as part of a brand new 3-ride package. 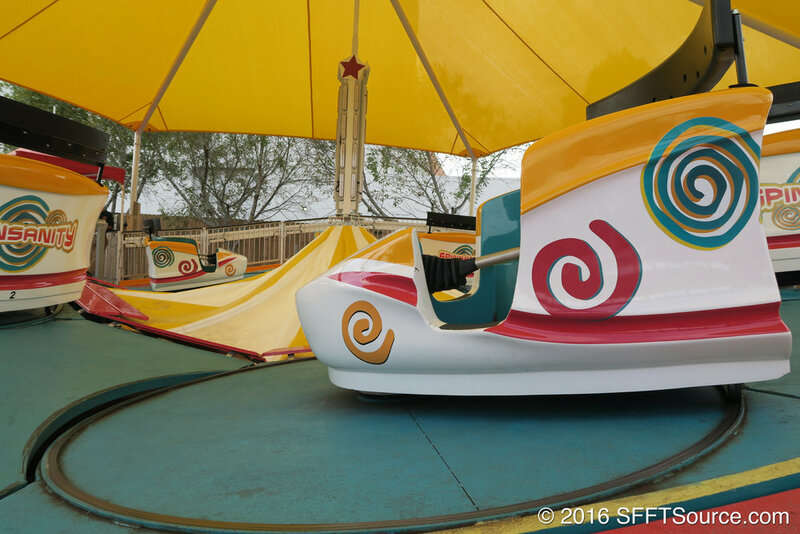 This classic Tilt-a-Whirl attraction sends guests spinning in circles throughout the duration of the ride. 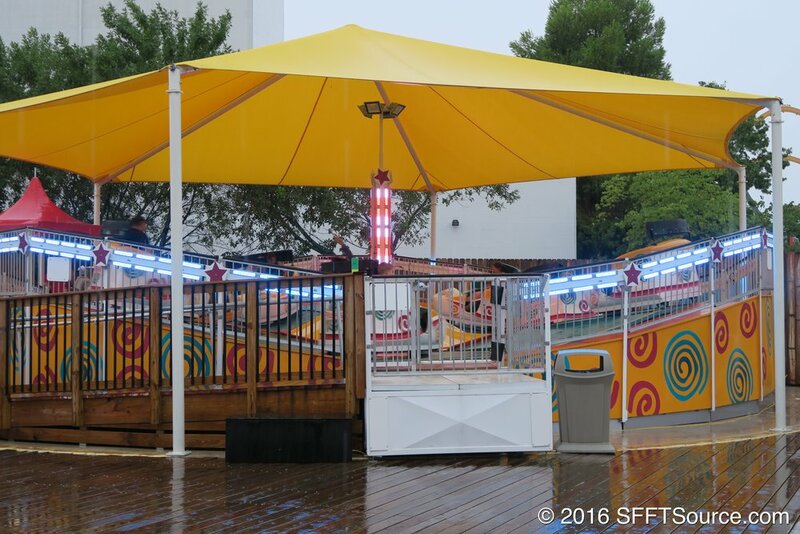 At night, the attraction also features an impressive lighting package that fits in perfectly with its Fiesta Bay Boardwalk surroundings.